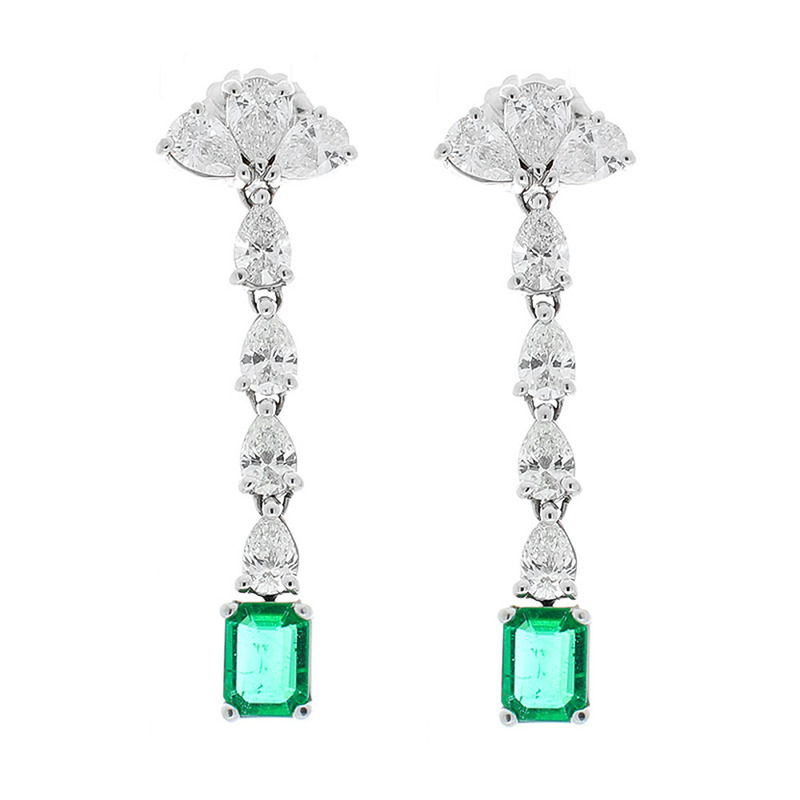 These are vintage-inspired emerald and diamond earrings. 14 stunning pear shaped diamonds, weighing 5.29 carats, delicately cascade down to the vibrant green emeralds. The emeralds are sourced in Brazil. The clarity and transparency are top-end. The emeralds are 2.58 carat total weight and are from the same rough origin. They are perfectly cut to match in size, color, clarity. 18 K white gold makes them enduring for you and to whomever you decide to pass them down to.